Our brand-new hoodie line is a gamechanger! With unique styles, these hoodies are the perfect way for teams and players to show off their colors. Check them all out here. Head to your game in style with one of AK’s brand-new performance Polos. With five great styles to choose from, your entire team will look dapper. Click here to see these great products. Our brand new Pro Hockey products are now in stock! 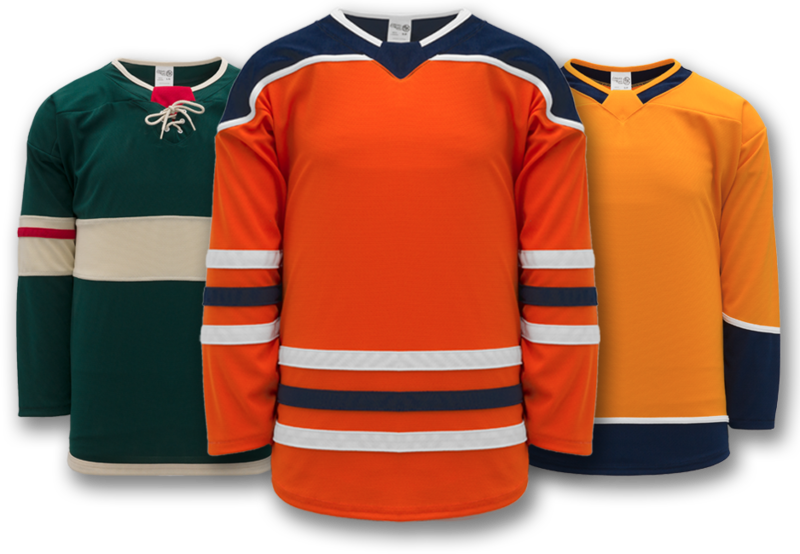 Inspired by new NHL uniforms, our awesome new 2018 hockey products are available here! Whether you’re at the gym, warming up before a game or just hanging with friends, our brand-new performance t-shirts will make you look and feel great all the time. Find your colour here. 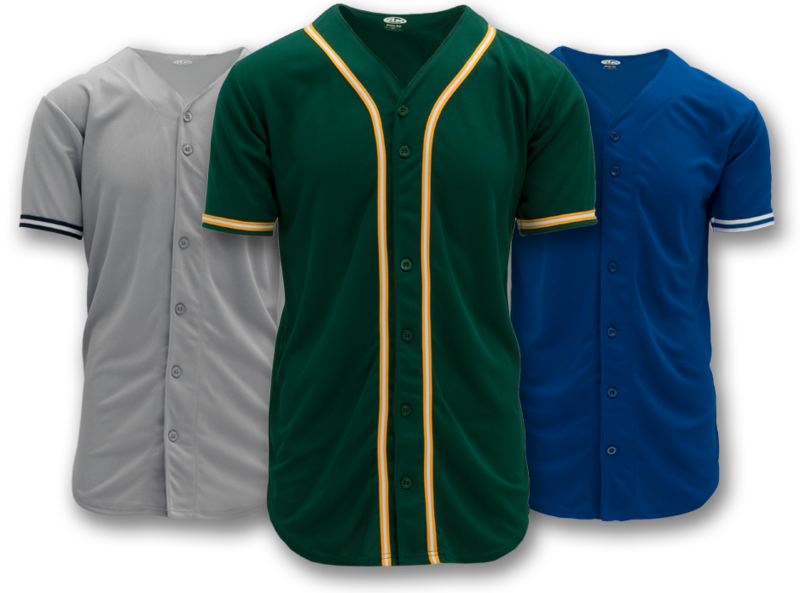 Unique to the industry, our MLB inspired uniforms are one of a kind and in stock today. Check them out here. Need a unique logo to finalize your uniform? Choose from one of our great designs in our logo bank. Our 2018 Product Catalogues are now available. Divided by sport category, you can download all of these catalogues directly to your phone, tablet or computer. Click here to find your catalogue. 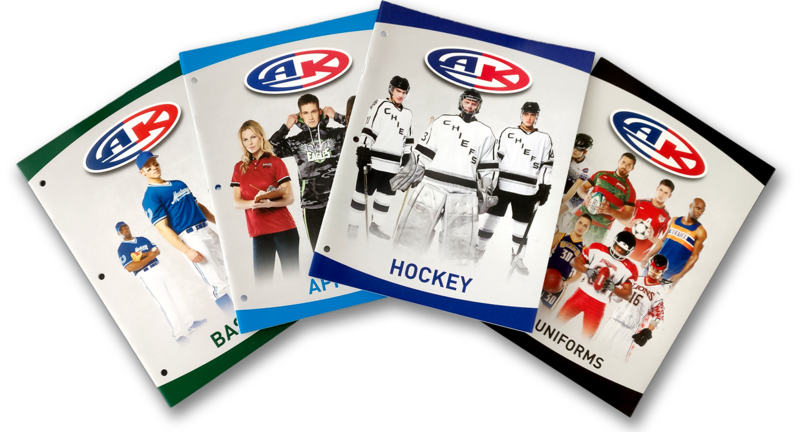 AK is proud to be the only uniform brand in Canada who has served multiple generations of athletes every step of the way, since 1962. Watch our story here. Our 2017 Team Uniforms product catalogue is now available for download! Choose from the largest selection of stock uniforms in the teamwear industry, or find ideas to create your own custom masterpiece. We believe this catalogue will help make your team wear shopping more simplistic! Preview our 2017 New Product Line which features innovative styles, colours, and sizing options from our hockey, baseball, and Basketball lines. Click here to see how we’ve become your “one stop shop” for team uniform needs. Outfit your team today with our ultimate team program. Over 20 different products to choose from! Please download our Ultimate team poster here. We have added over 20 NEW H630 Knitted hockey socks. We are excited to announce the launch of our new stock cycling line. Click here to see all of the stock products.